Dockless bike sharing has exploded here in San Diego, CA. Is it a good thing? Bad idea? Just too ugly to embrace? Thanks for joining me in checking this out! Please leave your opinion of them in the comments below. I am really interested in hearing your thoughts and why you have come to your conclusions. Depending on who you are, you may feel any of those ways about all the bikes parked with their kickstands down all over the city. I share some very quick thoughts on these bikes while taking a ride on an e-bike version from Lime Bike. The other bikes available downtown are from OFO and MOBIKE. Scooters are also available in this dockless sharing platform. Dockless bike-share is a system of bikes available for rent via a smartphone app, where they can be parked outside of a docking station, essentially anywhere, although the companies offering these bikes have guides for “bike parking best practices”, recommending that they be parked out of the way of pedestrians, cars, etc. 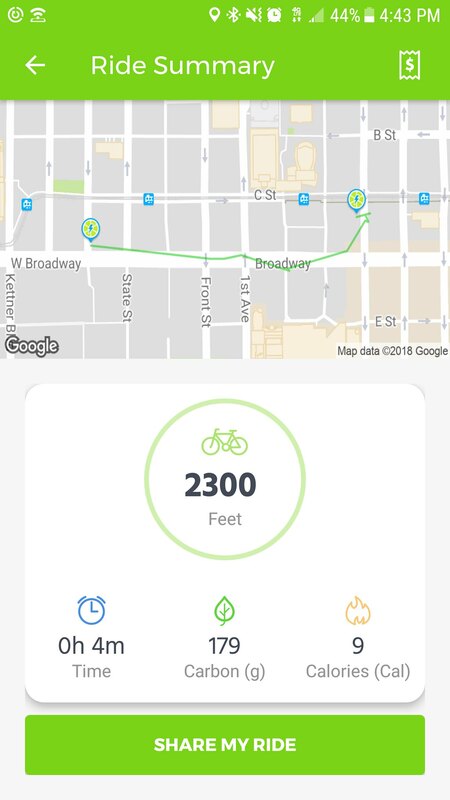 With your smartphone, you view a map for where the GPS tracked bikes are located, find one on the street, scan the code of the bike you wish to rent, and it unlocks the bike for you. When you are done with your trip, you simply lock the bike (as I show in this video) and you are done with your rental. Dockless bike-sharing is convenient, simple and effective for short spontaneous trips where you don’t want to rent a bike all day, nor bring your own bike for such a short ride. The average cost is about $1/trip. For anyone making multiple trips in a day, this isn’t going to be a great solution to getting around town, but for one-way trips for tourists, commuters, or meeting up with friends/coworkers, it may be a good solution to getting somewhere quickly with minimal cost. 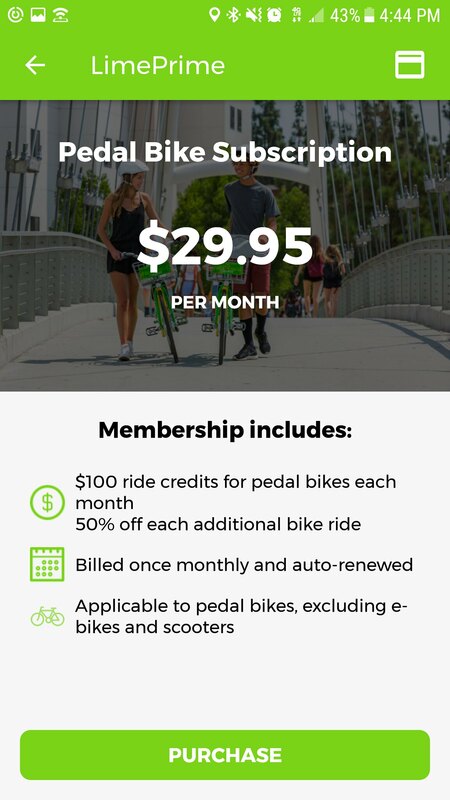 Lime Bike offers $100 worth of rides/month at $29.99 for people who plan to use them very often. Thats a pretty good value in my opinion, especially if you are traveling often or are only using bicycles for utilitarian tasks, not recreationally. $30 for $100 worth of rides for 1 month. 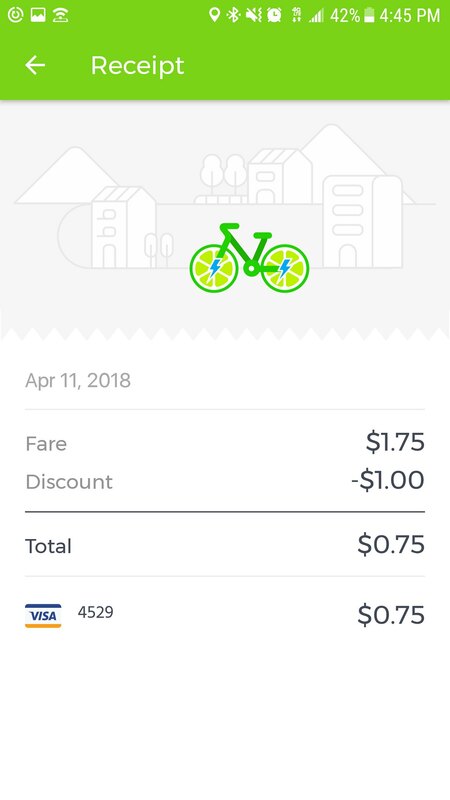 Receipt for my ride with $1 off coupon applied. E-bikes cost more than the typical $1/ride of regular dockless bikes. Ending a ride wherever you please has drawbacks related to maintenance, durability, economic sustainability, and lack of visibility that established bike share stations would normally provide. Users of dockless bikes placing them in inappropriate locations can be a real issue. 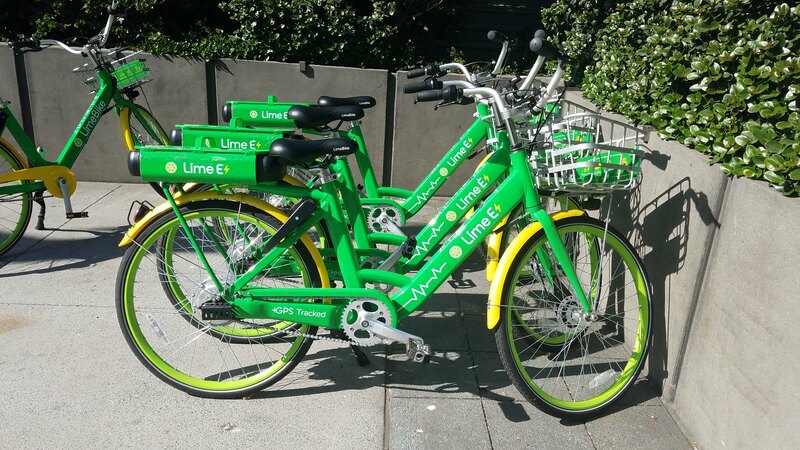 Cities and the businesses operating these dockless bike-share systems can offer incentives and disincentives as a way of regulating dockless bike sharing. For instance, LimeBike issues credit points in some cities for returning to bikes to a designated parking location. Some business owners in San Diego have been outspoken about their dislike for the dockless bikes. They find the bikes parked outside their business, becoming an obstacle for their patrons at times. The thing is, if a dockless bike is parked out front, the likelihood is pretty high that the rider is inside as one of their patrons. 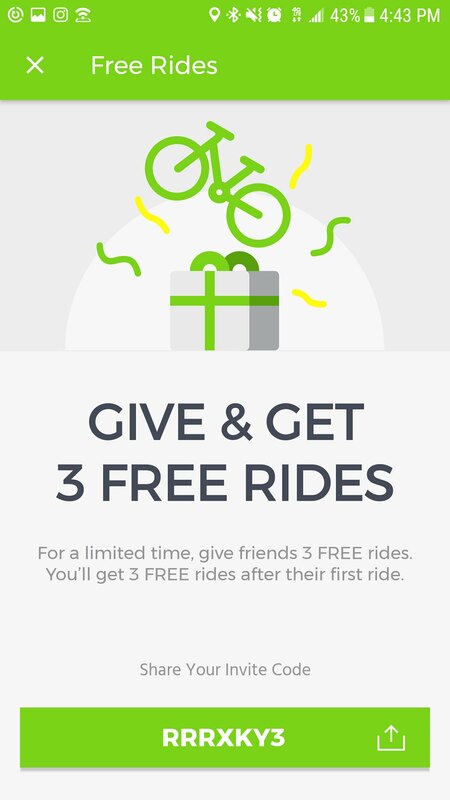 Use the Lime Bike promo code in green at the bottom for a free ride! Only 3 are available, so hurry before they are gone! The dockless bike sharing has already transformed downtown San Diego. So many users are zipping around on shared bikes and scooters to get around where they would have used cars (personal, taxi, Uber, or Lyft) previously. How do I know? Many are my coworkers. I don’t go get drinks after work, but many of my coworkers and friends do and they used to use motor vehicles to do so prior to the dockless bikes and scooters. I went to a going away party for a coworker last week and a good amount of the coworkers there had used a dockless bike or scooter to get there because the meeting location was 5 to 10 blocks away, a typical distance to travel for food/drinks/meetings in downtown. Its walkable, but not an enjoyable walk for most people. The dockless solution is perfect for these types of trips in my opinion. Unfortunately, there are some serious growing pains at this point in April of 2018. I hope to do an update to this video in the months/years to come to share whatever changes may come to the dockless bike-share situation. My hope is that the City of San Diego and the citizens will see a real need for improved bicycle infrastructure alongside the car and pedestrian traffic because of this increase in bicycle usage. People don’t feel safe to ride in the street like I did, so they ride on the sidewalk which is dangerous for them and other pedestrians, not to mention it adds to the already congested sidewalks. I would like to see the dockless bikes have designated parking locations between vehicle traffic and a cycle path where the bikes are parked off the sidewalk and provide a soft barrier between the cyclists on the cycle path and the vehicular traffic in the street. Thanks so much for reading everything and watching the video!